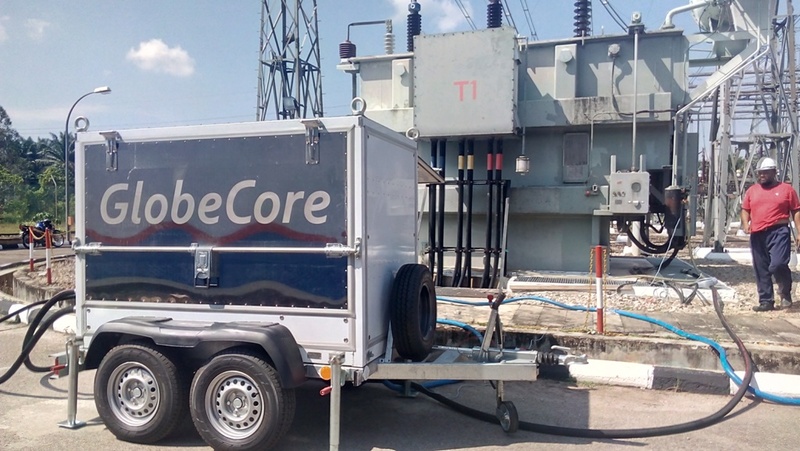 Using one and two stage vacuum systems in transformer oil processing - GlobeCore. Oil Purification Systems. The contamination of transformer oil during transportation and storage is not only particulate matter, but also water and gases from the air. The oil begins to age, and its parameters degrade: acid number and dissipation factor grow, while its dielectric strength decreases. This makes drying and degassing of oil imperative to keep the oil in good condition and maintain transformer reliability. Good insulation is only possible if the oil is dried and degassed in vacuum and adsorption units. Adsorption units are usually loaded with zeolite, a natural or synthetic substance with excellent water adsorption capability. An important distinction of zeolite is the ability to remove most of the water solved in the oil even if the concentration of water is low. This adsorbent, however, is unable to capture hydrocarbon aging products from the oil, making it unsuitable for complete oil regeneration. Oil drying with zeolite is possible when the dielectric strength of the oil is above 10 kV. Vacuum units perform both drying and degassing of the oil by making it slowly flow over the surface of special fillers in a vacuum chamber. The rate and efficiency of water and gas removal depend on temperature and residual pressure. Lower pressure and higher temperature are required for high quality of oil treatment. 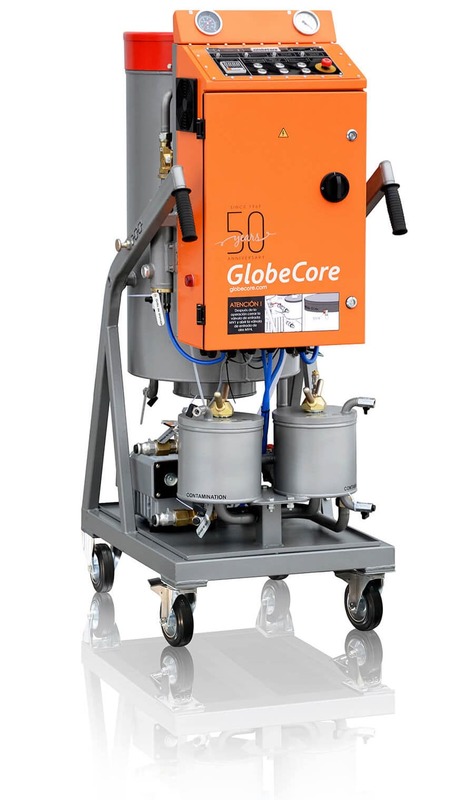 GlobeCore manufactures the CMM units with one and two stage vacuum systems for drying and degassing of transformer oil. The main difference between these systems is the number and types of vacuum pumps and the vacuum pressure achieved. 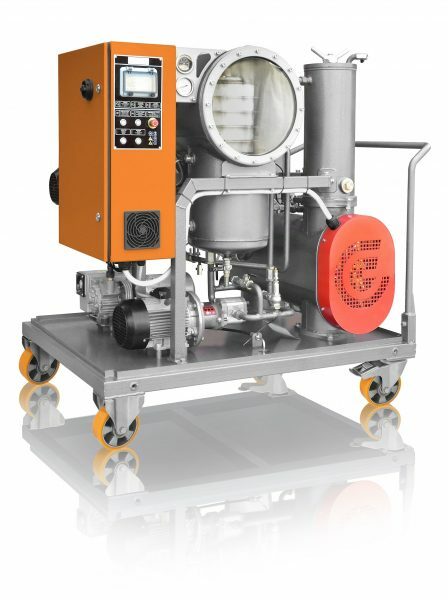 Only one vacuum pump is used in one stage vacuum systems, creating a low vacuum. These systems are good for processing of oil for unsealed transformers. 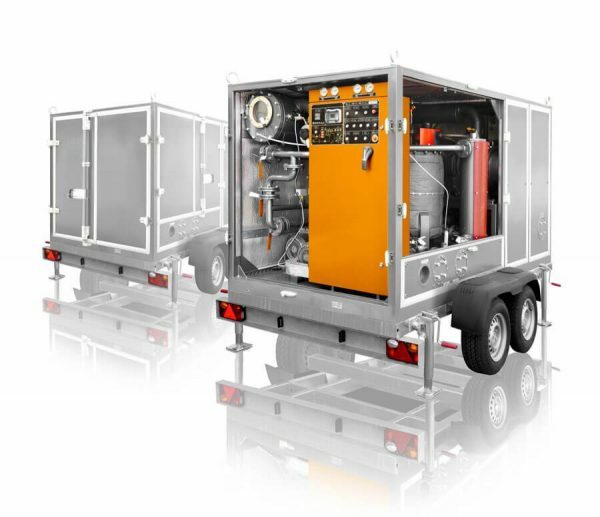 One stage systems are also successfully used with turbine and industrial oil. This class of units is represented by СММ-0.6, СММ-1.0, СММ-2.2 и СММ-4.0. Two stage vacuum systems are equipped with two pumps: a backing pump and a Roots blower, which create high vacuum. This class of equipment is used for drying and degassing of oil for sealed transformers. Two stage vacuum system also make it possible to fill transformers with oil under vacuum to keep oxygen from the transformer tank and protect the insulation. The two stage GlobeCore lineup includes the СММ-4/7, CMM-6/7 and the СММ-10/15 models.